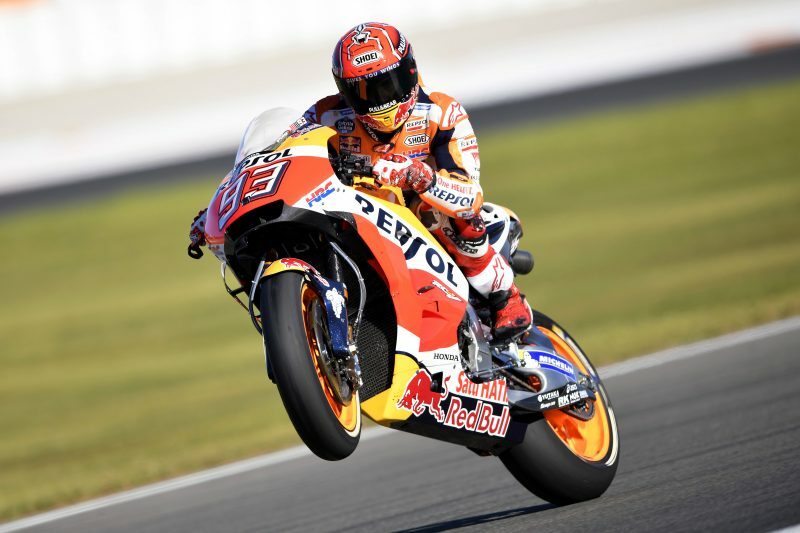 Points leader Marc Marquez (Honda) took pole position for tomorrow’s Valencia MotoGP race earlier today in qualifying. Also starting at the front row tomorrow will be Johann Zarco (Yamaha) and Andrea Iannone (Suzuki). In order to take this year’s title, Marquez must finish 11th or better in this final round if title rival Andrea Dovizioso (Ducati) wins the race tomorrow. Dovizioso qualified relatively poorly … back in 9th position (on the outside of the third row). You can find Q2 results here. Stay tuned for further race coverage on MD. WOW! What a season. Drama down to the last lap. Was this the best MotoGP season ever? YES! Shaping up to be a most dramatic GP. The start should be very interesting!